This bag is great for serious weekend crafting trips. I bought mine when I had to drive 6 hours to get to an art class offered to me in Southern Oregon. Since the description online made no note of what to bring, I emailed the instructor and got a reply of "standard art girl's kit". Now to me, this means... gather as much fun things from your studio and haul it down. Which also meant, to bring the things I wanted to... all the paper, stamps, stickers, pens and paints, and book and fabrics, I needed a bigger bag. That's when I found the Generations Weekender bag. It's an amazing bag to hold all your crafty needs. I was able to fit all the pens, paper, altoid boxes, metal doohickies, fiber, pens, crayons, scissors that i needed in addition to all the stamps I wanted to have at my disposal for the class. It even held a 8 x 12 thick blank book that I knew I was going to need to put all this artsy goodness into it. I've written more about this bag, here. And this bag has pockets, boards and elastic bands to secure everything down when you have serious crafting to do. Even at it's fullest, the backpack didn't bend or bulge or feel too heavy on my back, which is good, considering the amount of things I've put into it. Now that you've got an idea of what bags are out there for the artist on the go, let's get down to all the fun stuff that you can put into these bags. There is no right or wrong way to organize or assemble a small art kit for coffee house outings. Here's a list of common things that me and some of my artsy friends keep in our travel kits. Journal: Your art needs a home to reside in, so what better place than your journal. 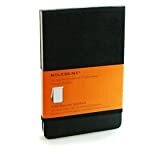 Grab a small travel sized moleskine or a slim tome to record your thoughts, sketches and collages into while you're on the road. I've currently been carrying my moleskine and my Embodiment project journals around with me to write in. Alternatively, if you're a painter, and have space for small canvases you could stash one or two small canvases into your bag to work on while your sipping a latte. Scissors: Scissors are great for cutting flowers or working on collages. I keep a small pair of very sharp Honey Bee scissors in my art kit. These scissors were made with paper crafters in mind and have a non-stick coating on them which is great when you don't want your paper sticking to your scissors. Be careful, if you plan on taking your kit on the plane, you may not be able to bring your sharp pointy scissors with you. And even if you aren't able to carry your scissors with you... you can still rip and tear images to put into your journals. Sure things may get a bit rough around the edges but you can always say that it "was done in the name of art and looks cool." Glue Stick: Another primary staple of the well traveled artist. Get yourself a good sized Glue Stick to paste in flyers, ticket stubs, napkin haiku written in the pizza house on your lunch break, etc. Two of my favorite types include the Tombow Mono Adhesive in permanent and Scotch brand glue sticks. I've just started using the Tombow and already I like how easy it is to glue things down without the mess. Watercolor pens: If you like the way watercolors look on your pages, then you NEED these pens. They're perfect for traveling with and don't make the mess like watercolor tubes or cakes do. They're completely self contained and work just like a normal pen... only they have a brush for the tip. The ink flows down to the brush at the tip and then you're free to paint in your book. They even have a refillable water pen so you can use it with your favorite water color crayons or pencils. Crayons: I love crayons. They bring out the child in me and are also a great way to splash color or draw with. The best crayon company in the world, Crayola released a nice 24 pack of Mini Twistable crayons which I found perfect for my art kit. These crayons never dull and allow me to doodle in bright vivid colors all over the pages of my journals. Pens: I won't go over this but everyone's gotta have one or two black or blue colored pens in their art kit. I mostly use my pens for writing entries or making fast sketches to capture thoughts and images on the page. Ephemera and envelopes: Being on the road doesn't mean you need to abandon your favorite collage elements or imagery. Gather some of the things you think you may want to play with and stuff them into an envelope that will not only keep your images safe from being crushed in your bag, but also organized for when you sit down to craft at your destination. I've been fortunate enough to have received some of the new Levenger receipt envelopes and find that they're sturdy enough to hold a few select pieces of imagery or magazine clippings when I am out on the road, making art. Mind you... they won't hold the 12 x 12 pieces of scrapbook paper that is fun for background collages but it will hold all the small bits of paper that I glue into my journals. Small Plastic Art Bin: I consider this an optional item. I don't use one but I have several friends who carry their art kit around in one of the Art Bin boxes. They're slim enough to hold several pens, scissors, glue stick and an ephemera envelope and can be easily tossed into any bag for immediate on the go art fun. My friend iScribe uses the Quick ViewSeries which measures 10 x 8. I've seen other friends put a few select small pens and buttons and papers into an Altoid Tin and call that their art kit. Reference books: I'm a book junkie, so it only stands to reason that my travel kit contains at least one or two inspiring books or references. Currently, my kit contains a copy of Eliza Metz's "The Mind's Eye: making and keeping creative visual journals" and Dan Price's How to Make a Journal of Your Life. These two books are about the size of a moleskine and are slim enough to fit into any of my on-the-go art bags. They're there when my mind draws empty space on that blank page and help remind me why art and writing are so important to my well being. They also have great tips and tricks for me to try out when I'm looking to try something new. Once you have your kit all assembled and ready to go, all you need to do is figure out what papers or magazines and then pick a date to head out into the world and make art. Usually I'll spend about 15-30 minutes before I head out to my destination to pick out the images, paper bits or stickers that I want to bring with me. Of course, weekend trips take longer to plan as you put things into the bag and then take them out, only to put it back in again. But the planning period pans out because when it's all said and done you'll be able to fit everything you need into your bag. And then when you get to your destination, you can relax and get to making art, rather than wishing you brought that one image or pack of pens. If you need recommendations for good places to travel to, that aren't exotic Mexico, I recommend bookstores, coffee houses and even parks. I find that getting myself and my art out of the house helps to spark new creativity in my art. Your art no longer needs to be confined to JUST indoors. Take it with you where ever you go and be inspired. I can attest to the caddy. Submitted by martha (not verified) on Fri, 2007-02-23 00:57. I can attest to the caddy. I bought one on an impulse and then felt guilty because I thought I wouldn't use it. Wrong! It turns out to be essential. Like you, I use it around the house and to haul supplies to my backyard which is 2 stories down. Submitted by heavdog on Sun, 2007-03-04 01:25. I saw the Generations Weekender bag down at my local Michaels today...it was on clearance for 19.99...I almost got it, then at the last minute didn't get it...now I'm thinking I should have. I didn't see all the features when I looked at it in the store, and now after checking it out online, think I should run back there and see if it's still there...somebody help me! What should I do? Submitted by shris on Sun, 2007-03-04 01:38. I say go look at it again. Don't commit to buy it until you see it again, but DO go look. I say go back to the store, stand in front of it. Touch it, pick it up, look at the pockets etc. and decide what of your stuff goes where. If there's a pocket that obviously takes scissors (for example) but you don't want to carry that, think twice. If you can see yourself using it frequently, AND it saves you effort or suffering, then buy it. There's no point in something utilitarian (like a bag) that doesn't serve your purpose or ease your pain. Go touch it and poke it and see how wide the pockets open, etc. Make your decision with the bag in one hand and the $20 in the other. What else would you do with that $20? Ah, yes, I'm an agonizer. Submitted by heavdog on Sun, 2007-03-04 02:00. Ah, yes, I'm an agonizer. And a self-acknowledged bag freak...I have a bag for every purpose, except for my art stuff. I either throw my stuff into whatever bag I'm carrying, usually my Timbuk2 messenger bag, or a canvas tote. This doesn't always work so well, as I have lots of loose materials floating all over the place. A little organization could certainly help - maybe some interior pouches/panels? Submitted by shris on Sun, 2007-03-04 02:37. On second thought, you need to take a list with you--a list of the art supplies that need containing. It would be especially good if you had rough dimensions, like the length of your brushes or pencils, etc. Count up your ink or paint pots, a rough volume for your erasers, sharpeners, etc. This would give you armament to check out alternatives as well, like pouches for subsets of your stuff rather than a specialty bag. In the cosmetics department at Target there's a line of bags in marvelous shapes and sizes--they're made for makeup obviously, but it doesn't mean they won't fit some of your favorite art stuff. And some of them are transparent plastic, allowing you to more easily grab the right pouch. That's where the dimensions come in. If a bag is too short for your pencils, or only half of them will fit into it, then it's not going to fix your problem. You might discover that it would take $20 in little bags of different shapes and sizes to fit the stuff that would fit perfectly in this other doodad. Or you might discover this new bag lacks one key detail, or that it would only be half-full. Submitted by innowen on Thu, 2007-03-08 16:59. I agree with the advice shris has given you. I am the same way as you both when I go searching for the next "bag ho" acquisition. I search hours online and look and drool at all the new shiny bags. However, lately... I don't give into impulse buying. I go to a store, and (in some cases) bring the gear i want to shove in the bag. Try it out so too speak. That's what I did when I got the weekender bag. I went to the store, and grabbed many items off the shelves... to see what all could fit. I hemmed and hawed about it all, taking stuff in and out of it and playing with the zippers to make sure they wouldn't catch. I wore the bag over both shoulders and on my trademark right shoulder, just to see how it felt with nothing in it, and with some things in it, etc. People may think your weird for going the extra mile, but us bag connoisseurs, we want to make sure the bag is JUST perfect for the cause. In the end, I'm very thankful for having done that and love this bag. It's perfect for those days you want to hang out with the art girls and craft.